I’m so excited about this next project. Me and Edda are doing the same design but I’m knitting and Edda is crocheting. This is so different from my regular design process but still really fun. We are working with an amazing indie dyer from Vatnses yarn. We are both working with a speckled sport yarn but in different colour ways. I was fairly late on the speckled wagon but boy is it fun to work with. I´m going to tell you a little about October. Early on we decided we wanted to, some time, make the same sweater but with different methods, crochet and knit. So now is that time, Yayyyy. We have decided on a design and also yarn. 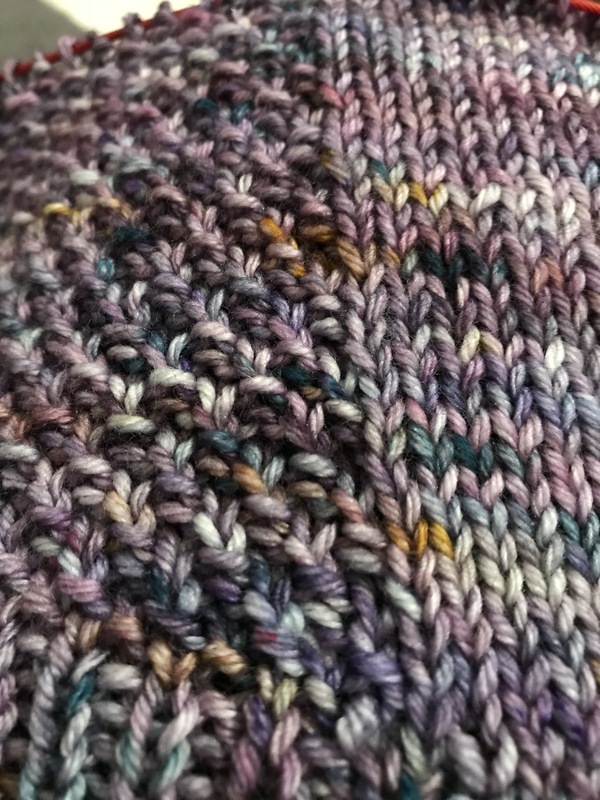 We are using the same yarn but in different colorways. We chose a delightful merino, silk blend from a new Icelandic indie dyer we love. 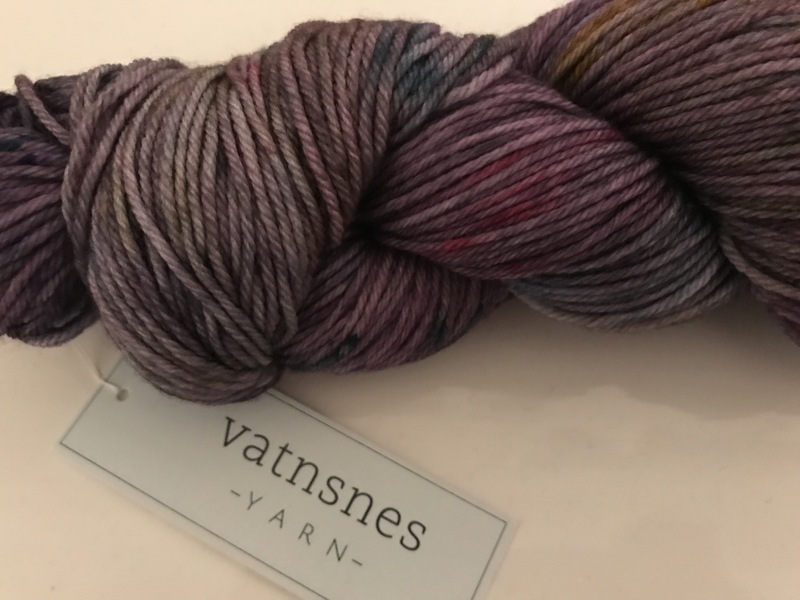 Her label is called Vatnsnes yarn and we are loving the results so far….. can´t wait to show you what I´ve got startet. We are super super excited as you can imagine. 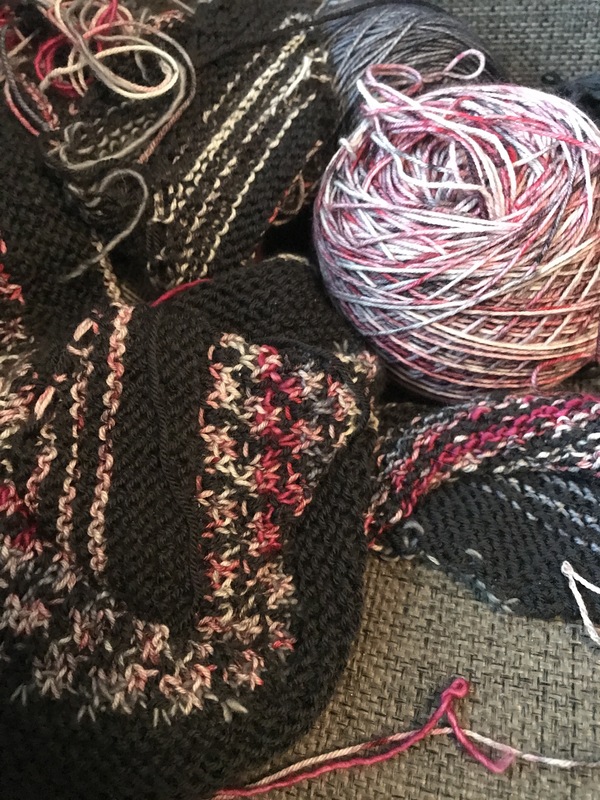 The sweaters will look the same…(ish) but you, my dear reader, fellow crocheter or knitter can choose whether you will knit it or crochet. 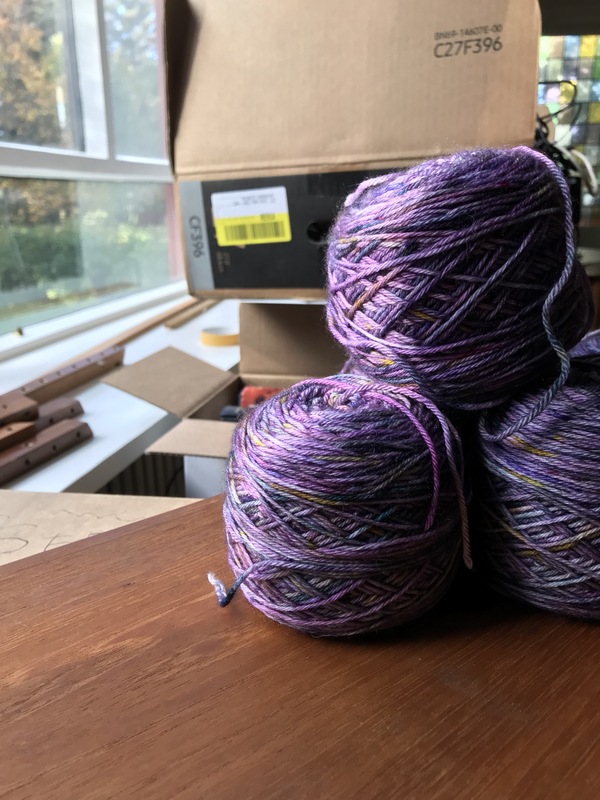 This is the yarn and as you can see, Arndís is still busy moving with all the boxes and stuff in the background. 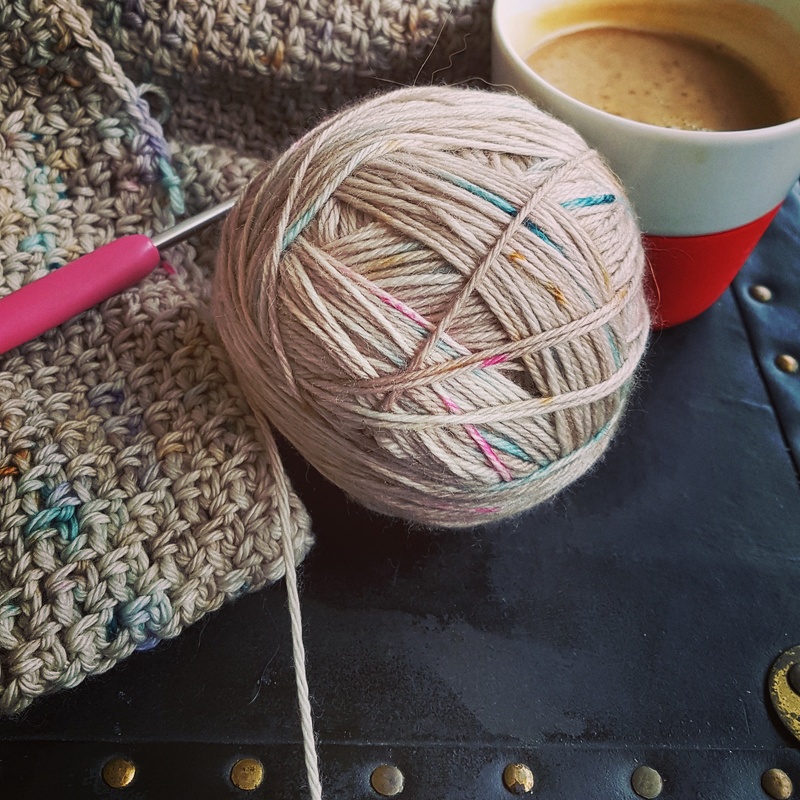 She´s not handling it very well, not being able to knit a lot but I know she´s doing her absolute best finishing the September shawl for Saturday.